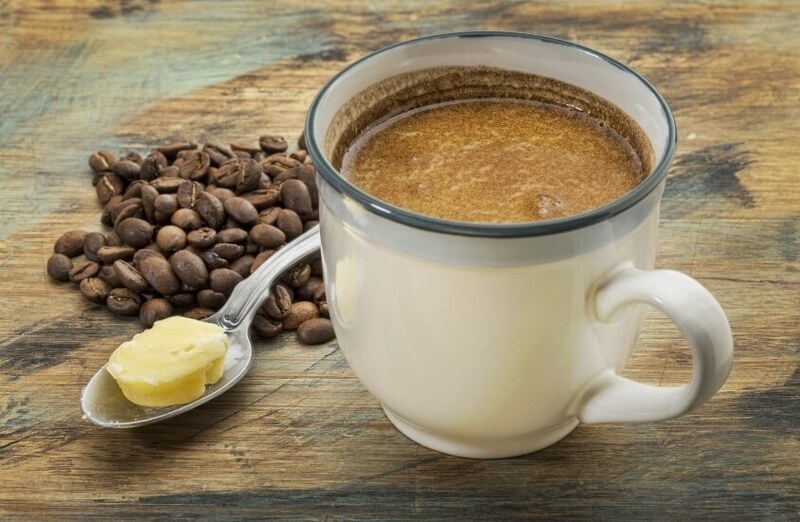 This guide highlights the basic recipe for Bulletproof coffee and then explores many alternatives, substitutions, and upgrades you can experiment with to get the best results. What’s the world’s most consumed mind-altering substance? Coffee. Yes, coffee (with the active ingredient caffeine) is technically a drug. And around the world, many people self-medicate themselves with this drug to induce wakefulness every day. Now, if you’re going to sit down with a cup of coffee to “turn you on,” why need not “upgrade it” to derive more cognitive benefits while you work? 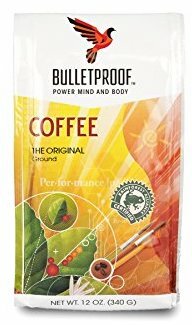 Perhaps you’re familiar with Dave Asprey’s Bulletproof® Coffee. Asprey helped popularize the understanding that our brains need quality fat to function properly. On a trip to Nepal, he noticed that the Nepalese blend yak butter into their coffee. And Bulletproof Coffee was born. The basic recipe for Bulletproof Coffee (whether or not you use Asprey’s Bulletproof brand) is to take coffee, grass-fed butter, and MCT oil and combine these ingredients in a blender. While this buttered coffee won’t change your level of creativity, it will noticeably increase your mental stamina, endurance, and ability to focus for numerous hours. If you’re already drinking coffee and want to get an additional cognitive boost, you can add other nootropics to your morning brew. Nootropics are substances that improve mental functioning, like increased information processing, concentration, memory, or some combination of cognitive benefits. Caffeine itself is technically a nootropic. And while I don’t advocate taking synthetic nootropics (often called “smart drugs”), there are plenty of nootropic supplements that are safe and effective for daily use. Mix these ingredients in a blender and served hot. I recommend getting a glass blender (lower toxicity). Of course, you don’t have to use the Bulletproof brand of coffee. I personally use an organic dark roast from my local health food store. Similarly, there are many alternatives to Bulletproof’s brand of MCT oil. Ideally, you want the oil to be 100% Caprylic and Capric Acids. I use Garden of Life Dr. Formulated MCT Oil, mainly because it’s certified organic. A widely available and popular brand of grass-fed butter is Kerrygold. Or, you can use organic ghee, a form of clarified butter that is also grass-fed. Either one is an essential ingredient for the bulletproof coffee recipe. Coffee is a natural source of caffeine, which stimulates the brain and nervous system, increasing your alertness. Caffeine enhances your reaction time and brain function. Grass-fed butter is loaded with vitamin K2, essential for heart health and proper brain function. MCT oil converts into energy faster than other oils, helps to maintain healthy cholesterol levels, and ignites your body’s metabolic rate. Our brains are 60% fat. And this 3-pound organ manages to use 20% of the body’s metabolic energy. But not all fat is created equal. Our bodies crave quality fats for hormonal balance and brain functioning. Grass-fed butter, for instance, contains fat-soluble vitamins A, D, E, and K, which are essential for your blood and a well-functioning pineal gland. Fueling your brain with fat encourages ketosis, provide energy to the brain, and helps protect against brain diseases, among other health benefits. Mixing these ingredients form an energy elixir that triggers an alert state so you’re ready to work. You can also add 1 tablespoons of raw organic Hemp powder (an ideal source of protein; the brain needs protein for proper functioning). Note: Bacopa extract doesn’t taste great. As an alternative, Himalaya Organic Bacopa comes in tablets. Studies show that L-Theanine reduces stress and promotes relaxation. 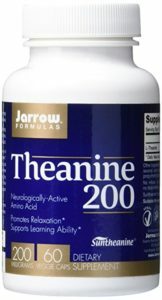 When paired with caffeine, this double-blind study shows that L-Theanine increases reaction time, memory, and endurance. It also mitigates many of the adverse effects of caffeine like jitteriness and increased blood pressure. What if you’re not a coffee drinker but you’re still looking for a performance upgrade? This Japanese green tea is shade-grown before harvesting, which suggests that you’re getting L-Theanine in its natural source. I use Jade Leaf’s Organic Matcha Green Tea Powder from Amazon, but there are many brands. This South American tea contains five times more antioxidants than green tea as well as a clean source of caffeine. This high-energy tea comes in a smoked and unsmoked version. If you’re going to drink it, I recommend getting the unsmoked variety as anything smoked is more carcinogenic. Here’s the one I drink: ECOTEAS Organic Yerba Mate Loose Tea. It’s organic, fair trade, and unsmoked. Both of these coffee alternatives are rich in antioxidants and still give you a clean energy boost from their caffeine. In my nootropics supplement guide, I talk about the differences between states of consciousness and stages of consciousness. The self-actualization process of internal growth develops new structures or stages in your consciousness that you carry with you into the future. This occurs over time through practice and repetition. But high achievers and entrepreneurs are also seeking “upgrades” and biohacks in the moment—things you can do to supercharge their mental state while they work. There are many nootropics and energy supplements you can take increase your performance and cognitive functioning. These supplements, combined with this recipe for Bulletproof coffee, give you an edge in your daily work. But they are not, in themselves, tools for personal development. For that, seek out methods and develop your skills.